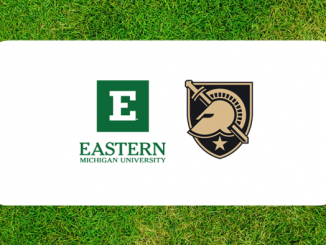 The tenth game of the year matches the Army West Point Black Knights (7-2, Sagarin 45) and the Football Championship Subdivision Patriot League Lafayette Leopards (2-3, 3-6 Sagarin 235). Army leads the all-time series 18-1. Army won the first meeting between the schools in 1893. The Leopards rebounded in 1940 with a 19-0, shut-out. 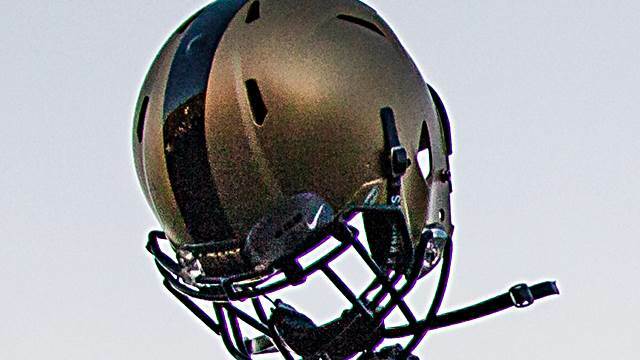 Army won the next 17 contests, the latest a 62-7 drubbing two years ago at Michie. Darnell Woolfolk rushed for 117 yards and a touchdown on 21 carries as the Black Knights beat the Falcons for the second time in a row and extended the home win streak to 11, 17-14. The Black Knights received the opening kick for the first time this year and drove 120 yards on 21 plays that took 13 minutes for the touchdown; as two chop blocks and one personal foul could not stop them. The offensive line looked fantastic and Jordan Asberry made a tremendous catch on a first and goal from the 22-yard line. Army scored their second touchdown on a drive highlighted by a Darnell Woolfolk 52-yard run on a fourth and one. Mike Reynolds intercepted a pass at the goal line before the half ended and Army was up 14-0. The Army defense only had to defend three possessions and disrupted the offense enough to thwart their drives. Then the Army offense went into the tank. I suppose not turning the ball over and allowing the defense to close out the game sounds tempting, but this game did not need to be close. Quarterback Donald Hammond started the second half for Air Force and Army was able to force a punt on the first drive and then hold them on downs on the second. 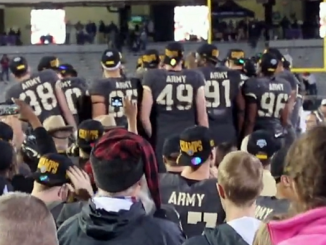 However, Brent Davis called six straight runs into the stacked defense; Army held the ball for five minutes and had two punts in the third quarter. After a semi-blocked Australian punt from Nick Strange, Air Force finally scored on a nine play 34-yard drive. Army came back out and opened with an easy pass to Glen Coates in the flat for nine yards. This loosened up the defense enough to advance the ball on the ground to the Falcon 37. A face mask penalty got them within field goal range and John Abercrombie line drove one through the uprights to increase the lead to two scores 17-6. The following drive, the Falcons had four completions, scored a touchdown, converted a two-point conversion in three minutes and the Black Knights were on their heels. The next drive Army was able to get one first down, but continued the conservative approach. The Falcons blitzed on a third and eight and a predictable Hopkins pass fell incomplete. There were three minutes left and Air Force quickly drove to the Army 38, but they were right in front of the Corps of Cadets. Cole Christiansen blew up an option play and created a fourth and three. On the ensuing play, Hammond attempted to change the play at the line of scrimmage, but because of the noise, there was a lack of communication on the audible and a run was stuffed. Army had to get a first down to end the game. Three runs up the middle left a fourth and one with 17 seconds remaining in the game. Monken called a quarterback sneak that gained two and Army retained the Commander in Chiefs Trophy. Five penalties for 65 yards, a stupid partially blocked punt – but a great victory nevertheless. It could have been easier. Air Force loaded the box against Army the entire second half. A couple of early down passes would have prevented the cheating. It’s almost as if Brent Davis likes adding stress to our lives. However, five years ago there was no Brent Davis and the likelihood of Army beating Air Force two times in a row was close to zero – so I will not complain and celebrate. Geoff Wade threw for two touchdowns and Domenic Cozier ran for three as the Crusaders (3-6,2-2) tamed the Leopards 40-14. Holy Cross gained 431 total yards (289 passing/142 rushing), but only averaged 3.2 yards per rush. Lafayette gained 239 yards (156 passing/83 rushing). Sean O’Malley was 23/41 and threw an interception. 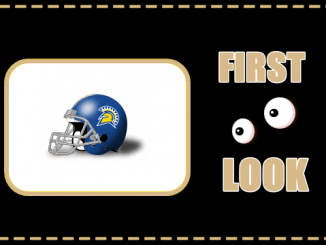 Lafayette is a FCS team and there is no official point spread. If there were, it would be 53 points. This game was scheduled last year as a result of North Texas backing out of their contract with Army. The Leopards are in the middle of the pack in the Patriot League standings and this should be a nice break for Army. The Leopards average 14 points per game with 272 yards total offense. Their defense has averaged 29 points, 347 yards total offense (208 passing/138 rushing) per game. Their defensive line averages 240 lbs. per player. Leopard quarterback O’Malley averages a little more than 31 passes a game. He has thrown for 1,503 yards and has a quarterback rating of 96.17. While he is not the caliber of other quarterbacks that Army has seen this year – he is not bad and will stretch the Black Knight defense. His leading receiver is Nick Pearson who has caught 38 passes for 547 yards. CJ Amill and Selwyn Simpson have both rushed for over 300 yards on the season. On paper, this is a real mismatch. While Army should not let down in intensity, they should allow the second and third stringers to play the entire second half. 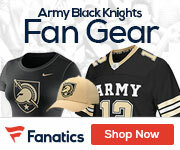 Army needs a rest as the next two games can propel Army into a great bowl game.